ok it’s alright with me | Gee, Ya Think? 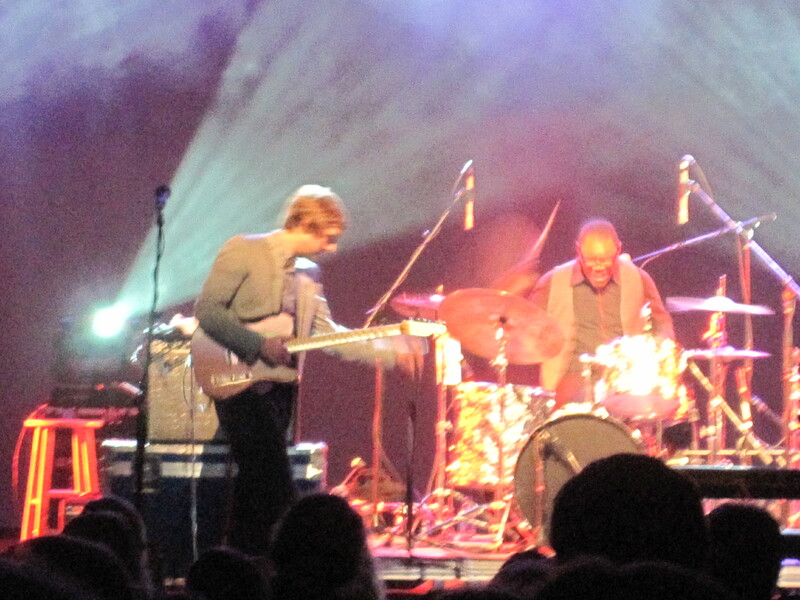 So I’m going to be completely honest in my review of the Eric Hutchinson show. It was a solid performance, but not the best concert that I’ve ever been to. Not awful, not stellar, just cool. Eric can sing, there’s no doubt. He’s got a melodic voice that is real and rich that can hit a broad range of notes. And as I already knew, boy can play the piano really well. But I would have appreciated his pure talent much more in a different setting. At the last minute, the concert was moved from the outdoor ampitheatre on campus to the stuffy auditorium due to threats of rain. Two very different atmospheres there. The auditorium was far too large – the first 20 rows were filled, but the other 50 empty ones made it feel pretty dead. It also did not help that we were in rows in the first place. When a guy with a guitar is performing, he’s destined to play in a cozy bar where people can move around (unless you are John Mayer status, playing to arenas of millions). That’s not an insult – those intimate shows are my favorite kind! But the energy in this drab setting was far too bleak as we were confined to our little seats. But Eric still managed to work the crowd pretty well. I enjoyed hearing “Food Chain” and “OK It’s Alright With Me” as I knew that I would. His voice was infused with passion as he played with the melodies. He even did a fun little freestyle song during which he pulled the crowd into the moment by asking them to take his picture and follow him on Twitter. I like a little witticism in live show (a la Jason Mraz). Eric was having fun and playing with his heart which is always critical to a good performance. Bottom line: I’m glad I went. I bopped. I clapped. And I’m grateful that I only paid $5.00 for the ticket because I don’t know that the experience would have been worth much more (not totally your fault, Eric…Mother Nature can be cruel).